Oh, ginger! I love you. I really do. I enjoy eating you in the pickled variety when I’m shoving sushi down my throat. I like cutting a nub of you off to add to my Vita-Mix disgusting looking yet tasty tasting veggie-fruit drinks. But most of all? I like eating you in candies. Ginger candy has been trendy for a few years now, but before that? Nada. It’s quite a time we’re living in. Let’s get the headline out of the way now: these are GREAT. These are exactly what all hard candies should strive for, especially seeing as how they’re so maligned. The thing about these beauties is that they’re not just hard candies. 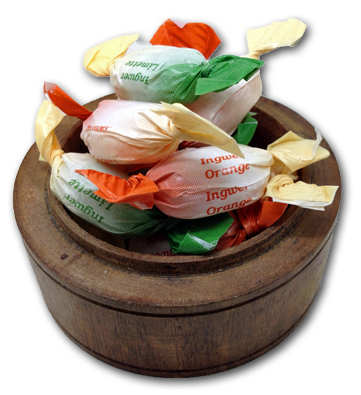 They really are what I think of when I think of a traditional candy bonbon : a hard candy with a chewy fruit center. There’s two flavors here: orange and lime. Both go well together, but more importantly, both go well with ginger. 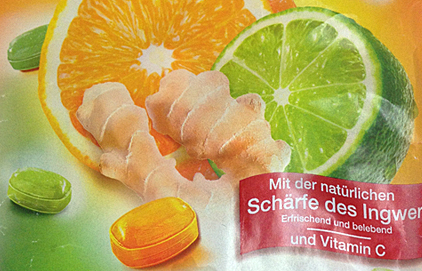 At first the ginger is hard to detect-but then you start getting it. 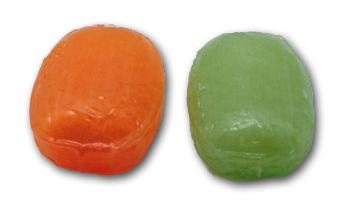 There’s a sandpaper-like graininess to the surface of these candies that is amazing-it feels like it’s the ginger in those little tiny bumps, even though I know that can’t be right. Regardless, the ginger comes in-extremely natural and accurate tasting. Next, when you get to a certain point, then candy starts to become malleable-and you’ll have no choice but to bite into it. At this point you get a very chewy fruit center, which is delicious, but then another wave of ginger rolls in. And now you’ve won life, because the ginger is spicy and delicious, and works perfectly with both the lime and the orange. Did I mention these have Vitamin C in them? Does anyone actually need Vitamin C? Just curious. I have no idea. 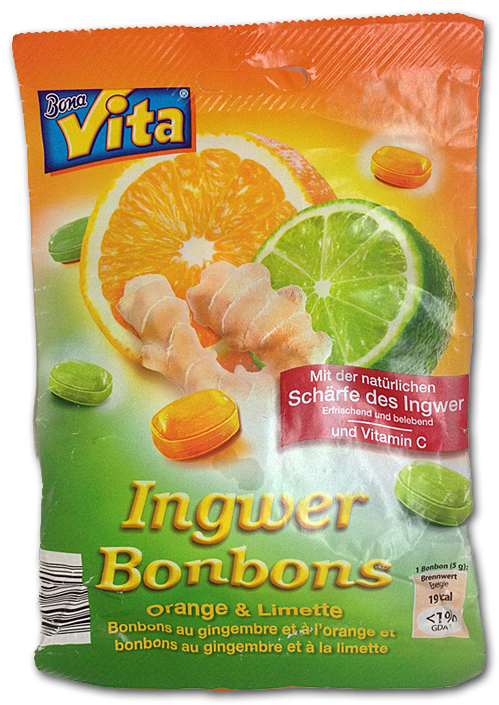 There’s a trend I’ve picked up on with regards to the candies that my German “dealer” sends me: generally, the better they are, the harder they are to find. This one is no exception. Not only can I not find them for sale to US addresses online, I can’t find them for sale at all. So this one goes down in the “if you see ’em, buy ’em” category. I promise you won’t be sorry. Yeah, the germans are great with hard candies. Grapefruit ones, as well as Cola were some of my favorites when I was there. No idea how good the candy is but I love the wood dish in the 2nd pic above. Where do I get THAT beeyatch!